Along with carpet cleaning, we also offer our customers complete upholstery cleaning services—from home and office furniture to complete car and boat upholstery cleaning. Our well-trained technicians have considerable experience performing deep cleaning in a wide variety of areas, and you’ll be amazed how good your furnishings and other upholstered surfaces look and feel after we’re finished. 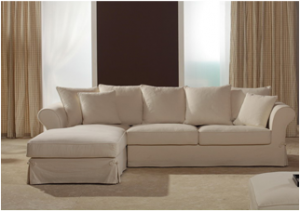 We offer a four-step upholstery cleaning system that includes pre-inspection and a full survey of any spots or stains; pre-conditioning and spotting; professional-grade hot water/steam extraction, and finally deodorising when we’re all done. Separately, we also offer high-tech fabric protection treatments to protect your upholstery against future spills. The result is upholstery that looks and feels newer. 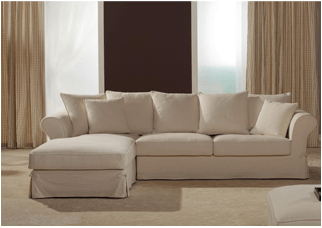 Professional upholstery cleaning can also considerably extend the life of your furniture and other upholstered areas. Have You Forgotten How Good Your Sofa Used to Look? For many of our new customers, having their carpet cleaned is their primary focus when they call us. After all, they know how much tracked-in dirt, pet hair, other debris and even spills their carpet is subjected to. The reality is that your furniture needs to be maintained with regular, professional cleaning just as much as your carpet, because it’s subject to the same level of dirt and use. As a result, over time it grows dingy and dull, showing its age prematurely. By hiring us to clean your home or office furniture—including chairs, sofas, cushions and even mattresses—you’ll see results that remind you of when you first bought it. It’s a great way to protect your investment, feel good about having cleaner and brighter-looking furniture, and impress visitors to your home or office. Fall in Love with Your Car Again (and Boat, Too)! Have you ever said you feel like you “live in your car?” It’s true—between your commute, errands, transporting kids and the occasional long road trip, you may be spending even more time in your car than you think. It definitely takes a toll on your car’s upholstery. Think about it—does your dog ever ride in your car? Do your kids eat snacks in the backseat? Do you ever transport things that are less than clean? If you’re like most car owners, the answer to more than one of these is “yes.” And yet chances are pretty good that you rarely if ever hire a professional cleaning service to clean your car’s upholstery—or your boat’s upholstery, for that matter. You’ll be amazed by how new the interior of your car or boat can look again when we’re finished. Our available services also include cleaning vertical blinds using the best equipment and techniques, never having to remove them from the window. And it’s very affordable. Be sure to ask us about this service when you contact us about other cleaning packages.